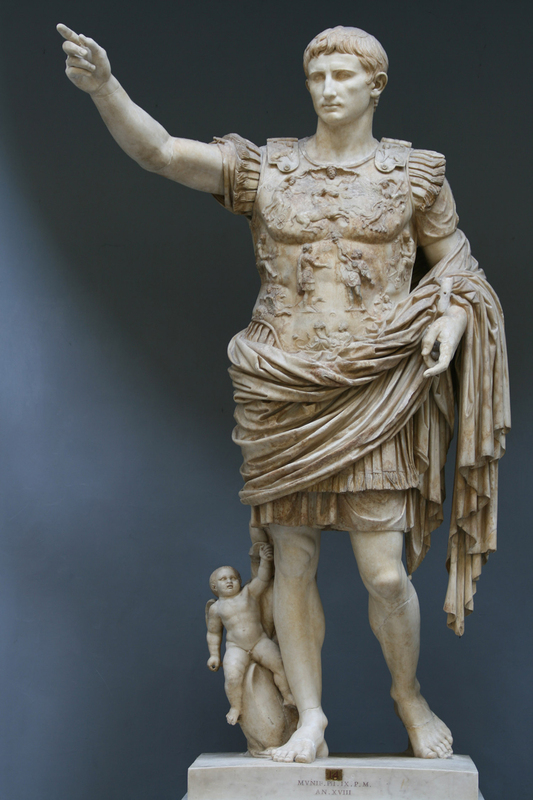 Augustus of Primaporta, 20 B.C. 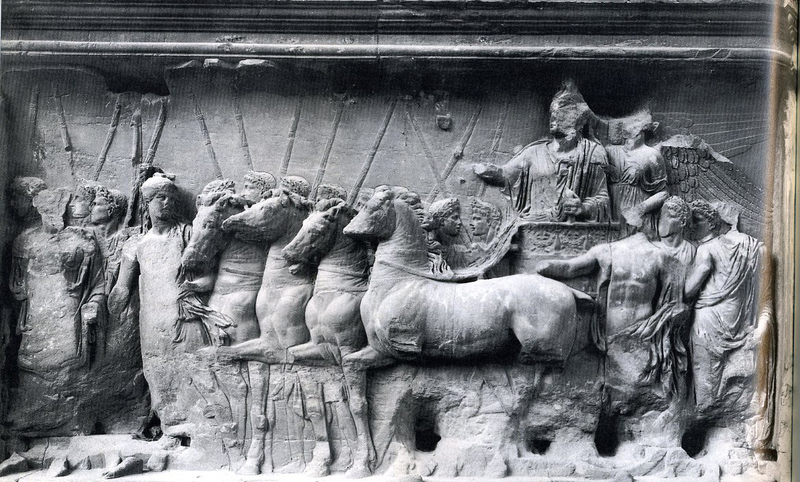 or c. 14 A.D. Imperial Procession from the Ara Pacis, 13-9 B.C. 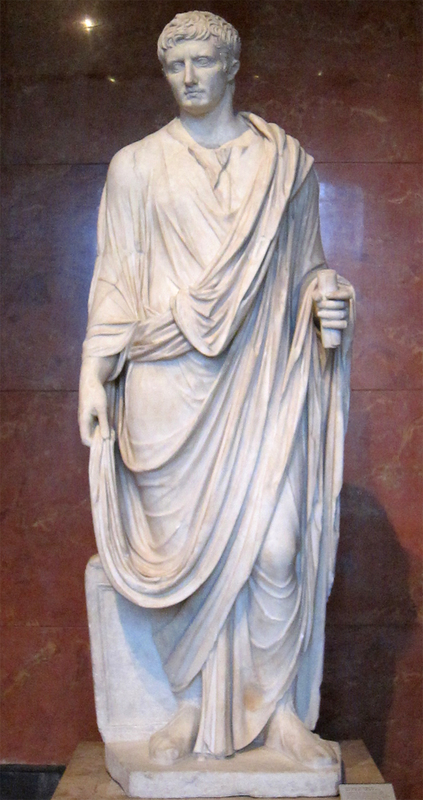 Togatus statue of Augustus, Louvre, head dated between 30-20BC; the body probably comes from the 2nd century AD. 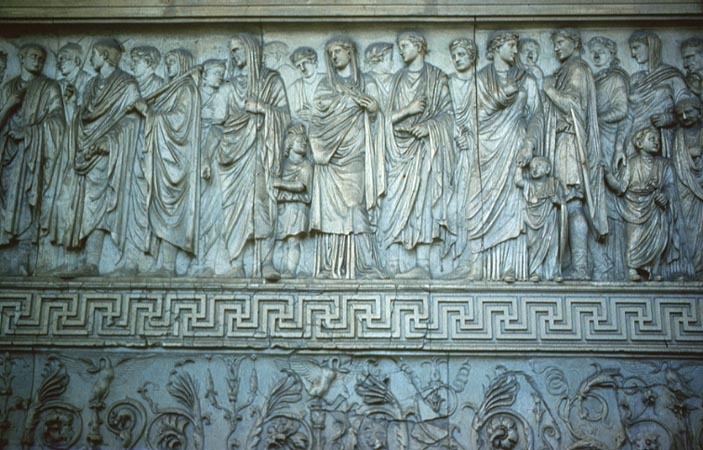 It represents Augustus as a magistrate. 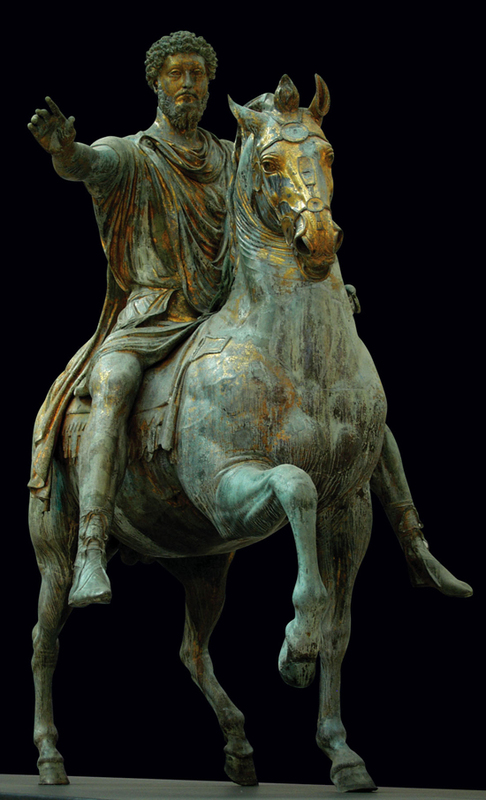 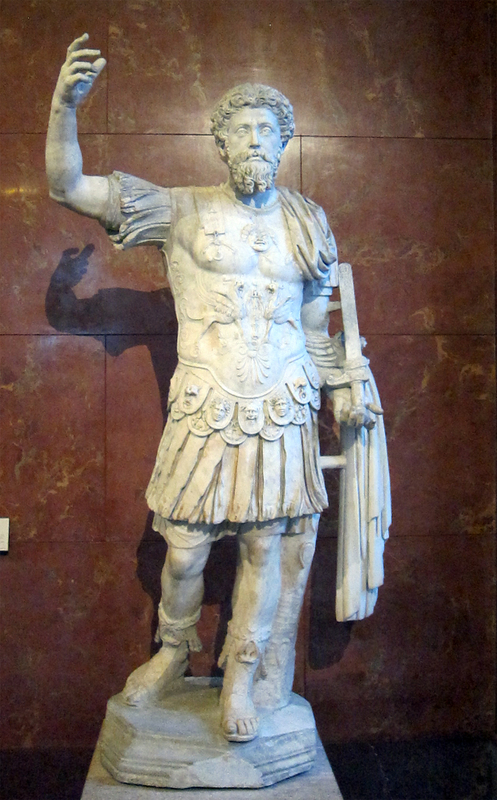 Augustus as Pontifex Maximus, 1st c. A.D.
Equestrian Statue of Marcus Aurelius, c. 165 A.D., bronze. 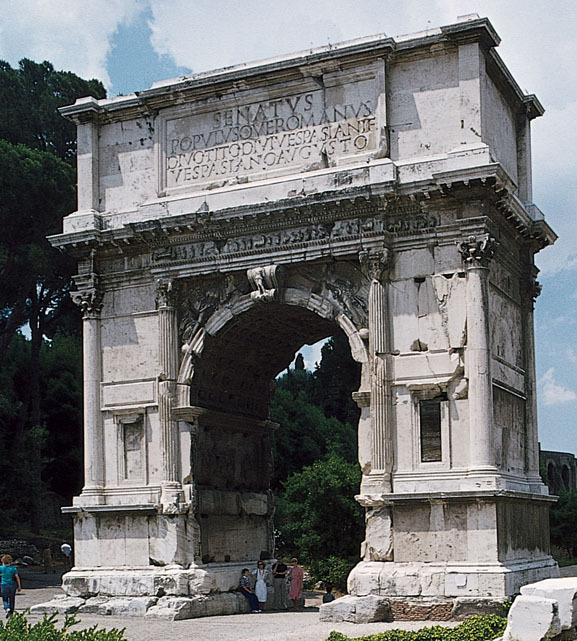 Arch of Titus, 81 A.D., Rome, constructed by Domitian after the death of Titus. 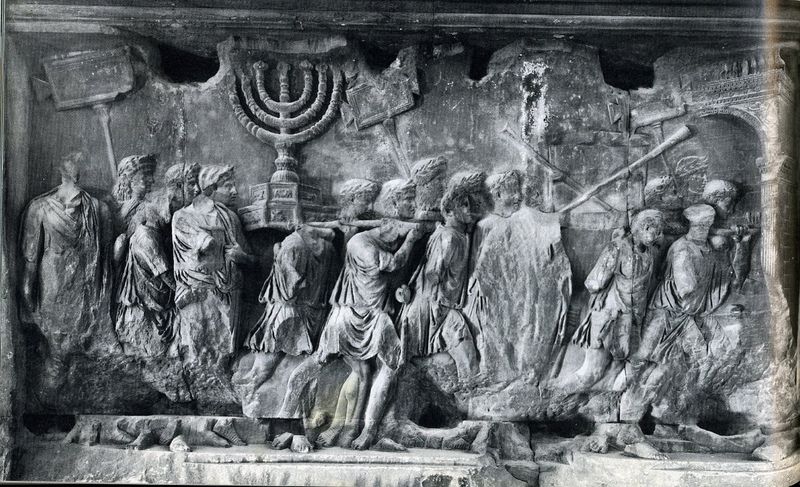 Triumphal Procession with the spoils from the Temple of Jerusalem, relief from the Arch of Titus. 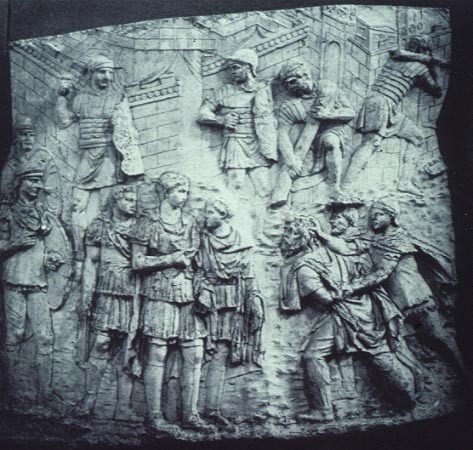 Triumph of Titus, relief from the Arch of Titus. 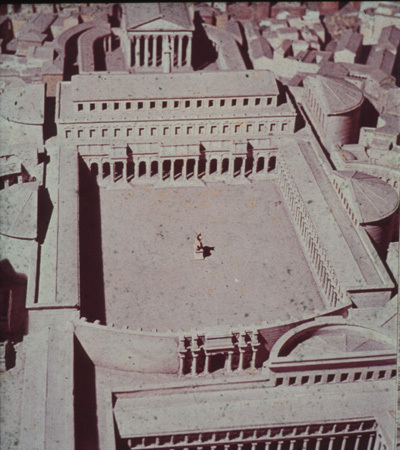 Reconstruction of th Forum of Trajan (note presence of Triumphal Arch, equestrian statue, and column. 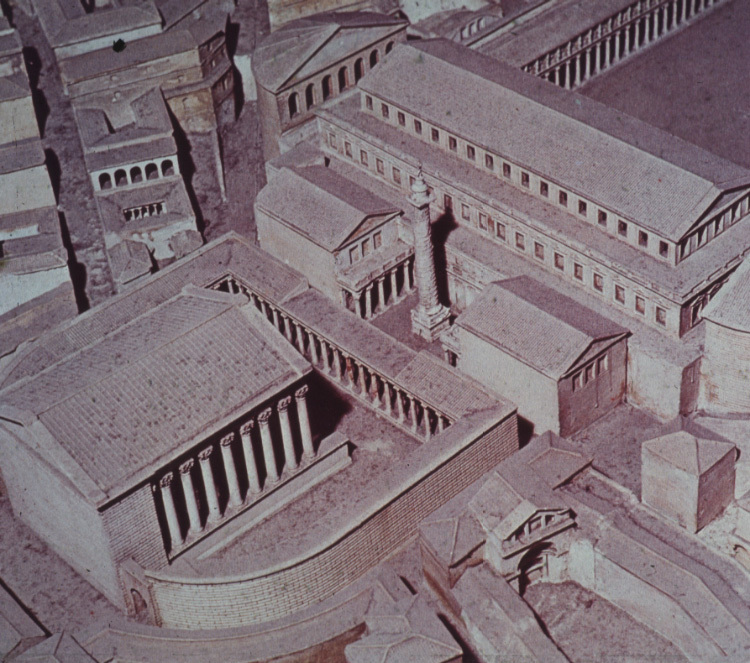 Reconstruction of the Forum of Trajan. 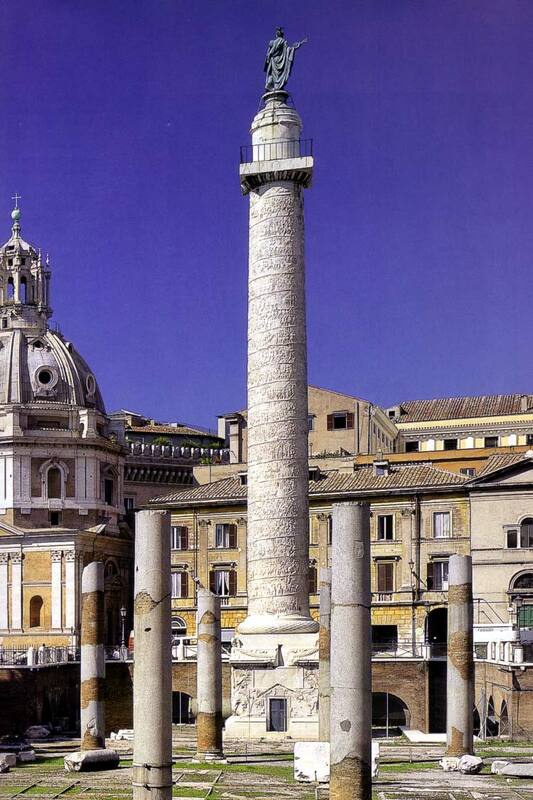 Column of Trajan, c. 106-113 A.D. View of the base of the Column of Trajan. 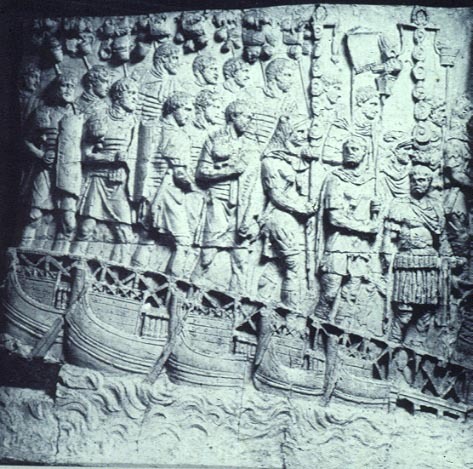 Roman army crossing the Danube river at the outset of the first Dacian campaign. 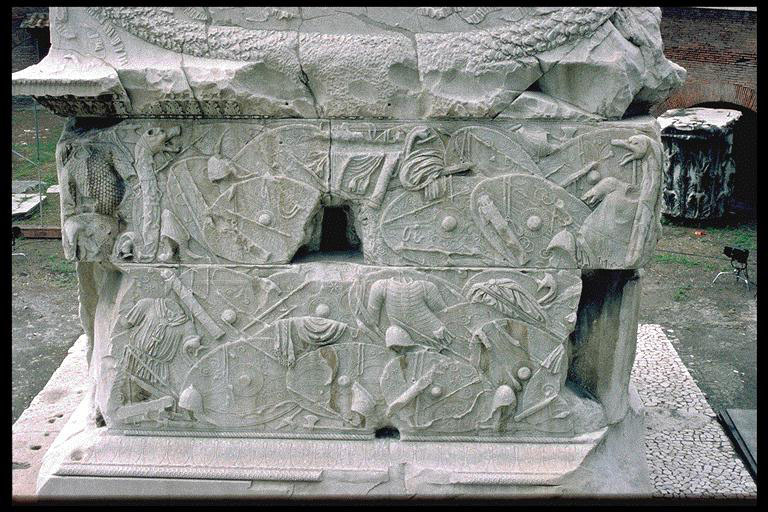 River God (Danube), cartoon with Jupiter throwing thunderbolt, and Nike inscribing shield from the Column of Trajan. 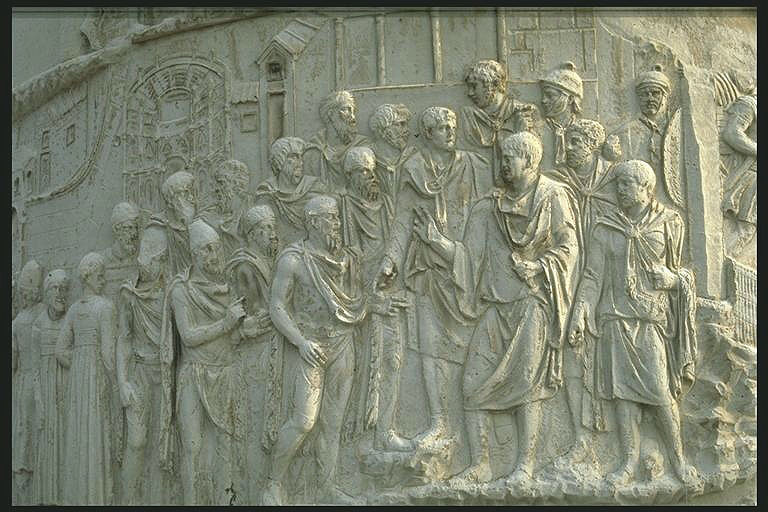 Trajan greeting ambassadors Trajan meeting with local Chieftain. 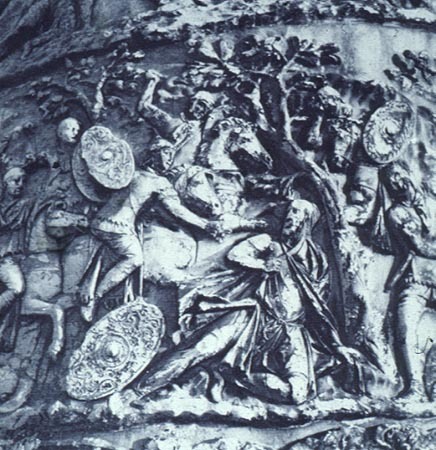 Battle scene from the Column. 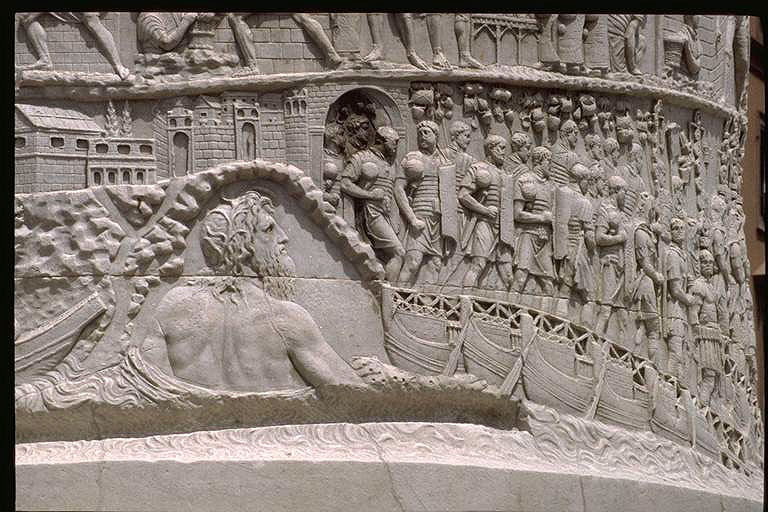 Suicide of Decabalus. 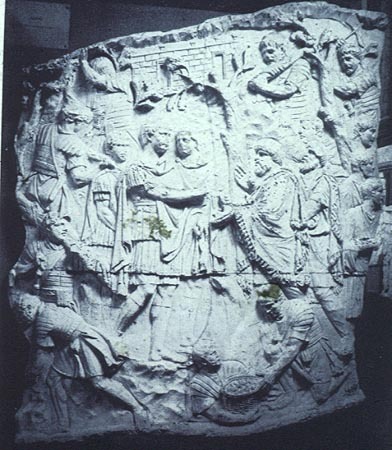 Submission scene. 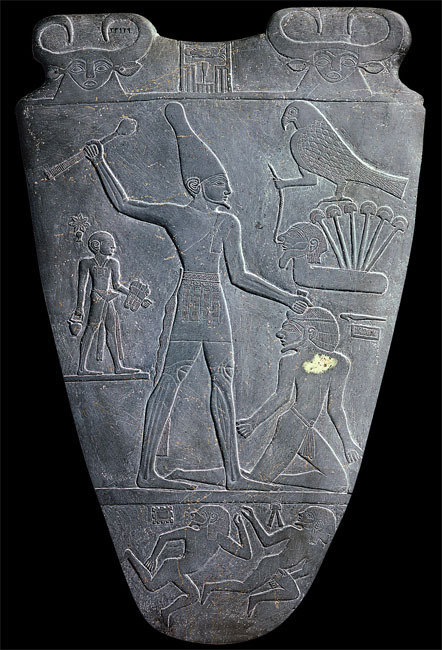 Palette of Narmer, c. 3000 B.C. 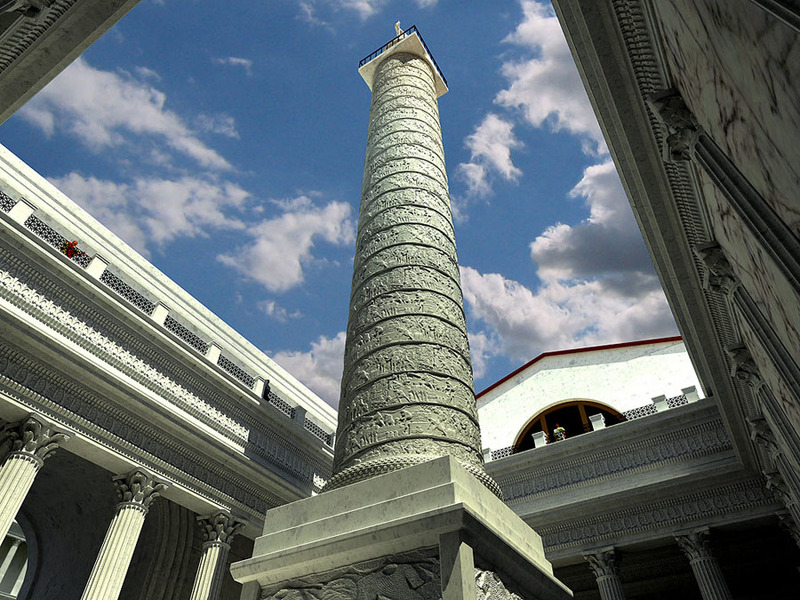 Column of Trajan, c. 106-113 A.D. 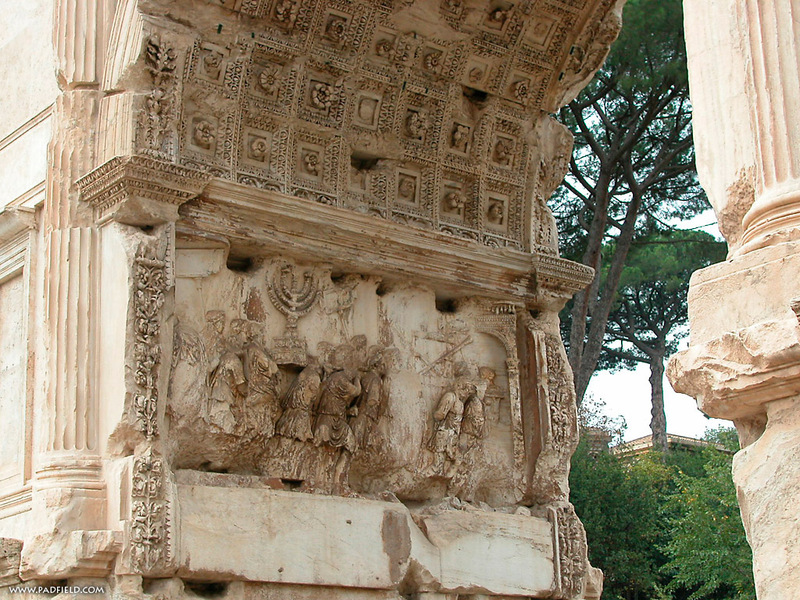 Both of these monuments commemorate military conquests. 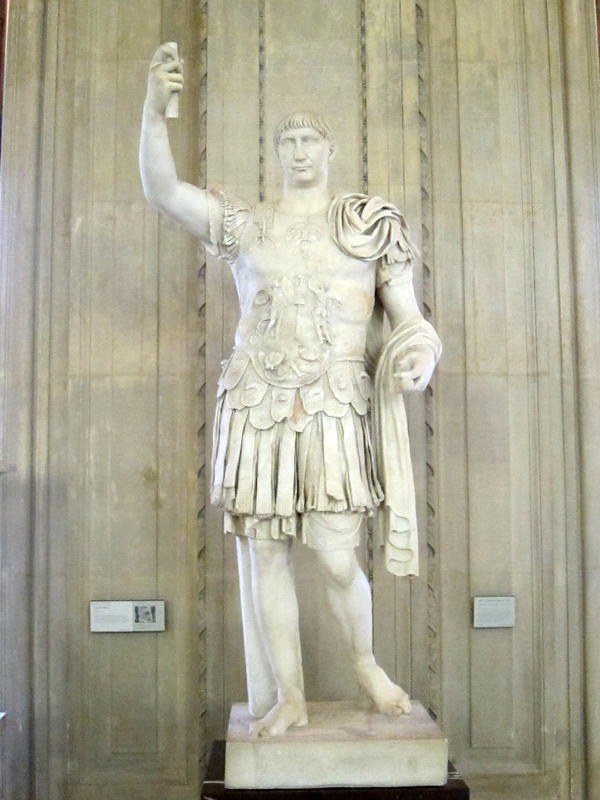 Discuss the different attitudes towards historicals events as exemplified by these monuments. 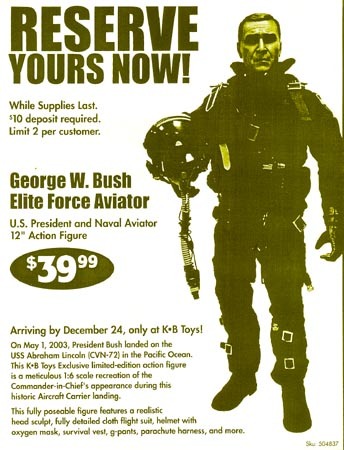 An important issue in this comparison is what the artists represent and how they represent it. 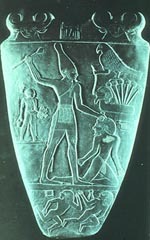 Another important issue is that in each case a central character can be identified: Palette=Narmer, Column=Trajan. 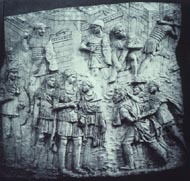 By the way the artists present these chief figures what can you say about the relationship of these rulers to their respective societies. 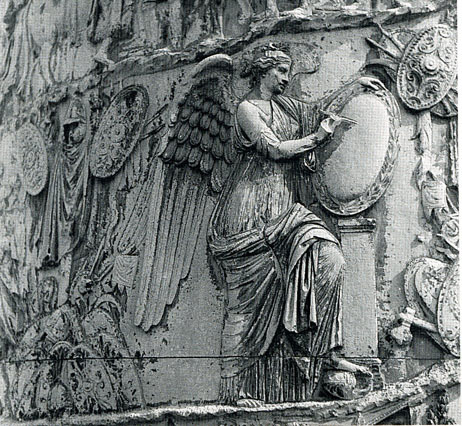 Make sure that you demonstrate how the style of each is characteristic of the civilization which produced it.